Are you preparing to buy a new home, and trying to figure out the best financial strategy for your mortgage? It can be overwhelming. And there is a lot to consider. How much can you afford your payment to be? How long will the term of the loan be? What will the interest rate be? When it comes to fixed rate mortgages, there are several options, but the two most popular are the 15-year and 30-year terms. Based on what is best for you, these two types vary in different ways. 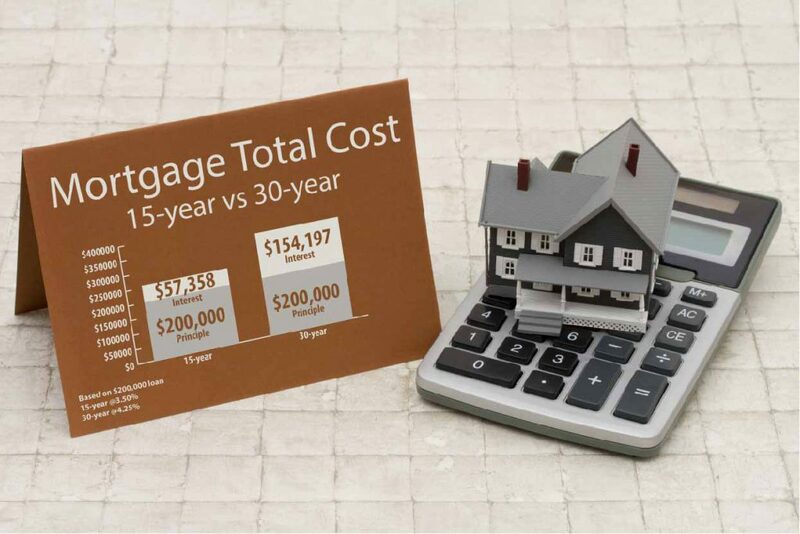 There are two ways to explain the differences between a 15-year mortgage and a 30-year mortgage. The short way and the long way. The short way is that a 15-year has a lower rate and a higher monthly payment while a 30-year has a higher rate with a lower monthly payment. For some this is all you need to know, but there are several other factors that differentiate the two. Let’s break it down further. Like we mentioned just a moment ago, 15-year mortgages have a lower rate and a higher monthly payment. It is obvious you will pay the loan off faster and pay less interest, but what are the other advantages and disadvantages to a 15-year? Another benefit is the ability to build equity quicker. Home equity is the amount of the mortgage balance remaining, subtracted from the market value of your home. This option can allow you to save a large sum of money in interest. For some, the savings is enough to make the decision. If you can afford it, it is well worth it, but that’s also the big drawback. With the higher monthly payment, the amount you pay could be substantially more than what it could be with a 30-year mortgage. Due to the larger payment amounts, one of the drawbacks of a 15-year is that you are not able to afford as large of a home, or one in that price range. Really, most of the disadvantages to a 30-year loan are the advantages to a 15-year. It comes down to what you can afford and what you think will make the most sense for you. This will vary from person to person.